California is facing a warmer climate over the next century. More frequent and severe heat events will pose considerable health risks that disproportionately impact frontline populations. 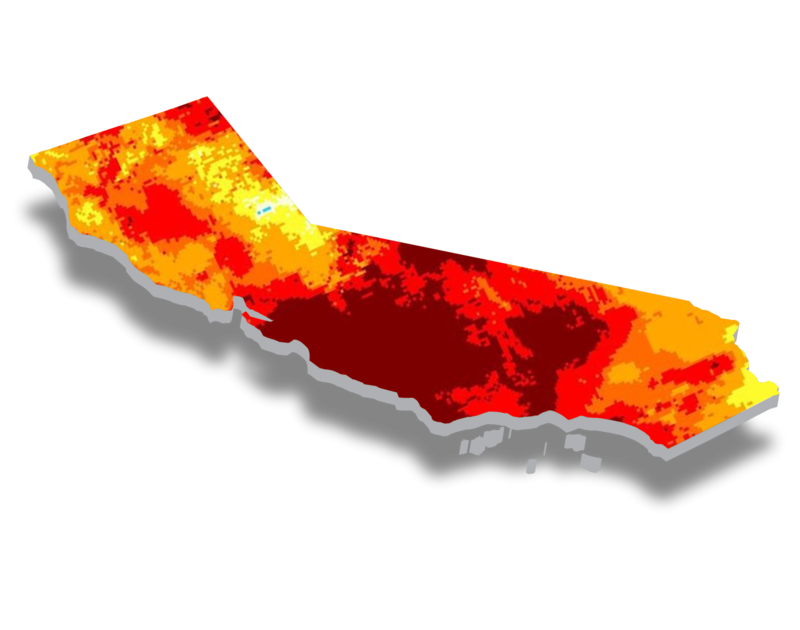 This tool allows users to explore and understand how extreme heat will impact specific communities across the state. A Heat Health Event (HHE) is any heat event that that generates public health impacts, regardless of the absolute temperature. Use this tool to explore how HHEs are projected to change in your area. There are multiple, complex barriers to improving health outcomes during and following a HHE. For example, economic inequities play a significant role in determining what actions individuals can take to protect their own health and the health of their families and neighbors. Use the tool to begin to better understand the determinants of heat related health impacts in your community and prioritize protecting those who are most vulnerable. This tool was built for planners, policy-makers, public health practitioners and community members who are committed to mitigating the public health impacts of heat in their communities. Type in a city below or click here explore the entire state.